Michelle Czekalski Bradley | Czekalski Real Estate, Inc.
Michelle Czekalski Bradley is the granddaughter Betty Czekalski, our company’s founder, and joined Czekalski Real Estate, Inc. after college, however she has been a part of the company for as long as she can remember. She has worked along-side her parents, Janet and Wally Czekalski, for decades. Michelle is an AQB Certified USPAP Instructor, and a real estate educator on a variety of real estate topics. She has authored continuing education courses which she has instructed for both appraisal and real estate licensees. She is also a review appraiser providing review services and retrospective appraisals. She has been appointed by The Appraisal Foundation (TAF) to serve on the Appraisal Standards Board (ASB) who is responsible for developing and amending the Uniform Standards of Professional Appraisal Practice (USPAP) which are the generally accepted standards of the appraisal profession. She has served as Pennsylvania's representative to the National Association of REALTORS® (NAR) Real Property Valuation Committee, and the Federal Financing and Housing Policy Committee, and actively lobbies for needed changes to the real estate profession. NAR has appointed Michelle as their representative to The Appraisal Foundation Advisory Council (TAFAC) where she was appointed to chair the Appraisal Standards Board Issues Committee in her first year. Michelle has over 30 years’ experience in performing professional, timely appraisal services for her clients. She works to build long-lasting relationships with every client through her willingness to answer questions and provide attention to detail. Michelle achieved her Appraisal Certification and Associate Broker's license in her early 20's, and at the time, was one of the youngest in the state to do so. She currently holds a General Accredited Appraiser (GAA) designation, and Graduate REALTOR® Institute (GRI) from the National Association of REALTORS®, as well as a Certified Distance Education Instructor (CDEI) designation from the International Distance Education Certification Center (IDECC). An alumnus of Clarion University, Michelle graduated with a Bachelor of Science degree, majoring in Real Estate. She is also a graduate of Dale Carnegie Human Relations and Sales Advantage courses and was has served as a Graduate Assistant multiple times. She is a graduate of Leadership Alle-Kiski Valley, where she was elected to the Board of Directors. In 1999, she was named REALTOR® of the Year by the Greater Allegheny Kiski Area Board of REALTORS®, and she is also a member of the Butler Area Association of REALTORS®. 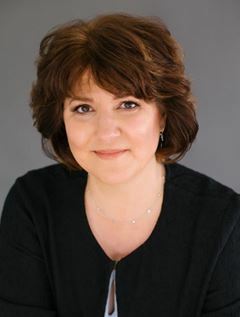 An active member of the region's civic and philanthropic communities, she has served as President, Secretary/Treasurer and State Director of the Greater Allegheny Kiski Area Board of REALTORS®, where she has also served on the Board of Directors multiple times. She has been elected to the Allegheny Valley Chamber of Commerce Board of Directors and has also served as President of the Chamber and on the Executive Committee. She is also a past President of the Allegheny Valley Business and Professional Women's Club. Married for more than 29 years to Dan Bradley, who is also a certified general appraiser, she enjoys spending her leisure time with her husband and their three cats, Tony, Vinny and Louie, as well as her many nieces and nephews. In 1984, Michelle was a foreign exchange student to Bogota, Colombia, South America. From that time, she has had a deep sense of national pride that continues to guide her in her daily life. The cultural experience has created a desire to travel and experience other cultures. She has traveled to many places with her best friend, who was also a foreign exchange student.